Georgia Media Agency got on the road to take a satisfying road trip to Beaufort, SC to learn more about Donellia Chives who is the owner of Ngome Lifestyle, a chic, yet cultural brand that is all about empowerment, lineage, fashion, and honor. Donellia is a native of South Carolina and takes pride in being from a state filled with African history, admiration, and culture. Along with two other likeminded individuals in 2002, Donellia and her counterparts developed the name ‘Ngome’ and as time progressed, Donellia requested to keep the name which she deemed the initials to stand for: Natural Goddess (or God) of Mother Earth. To Donellia’s surprise, the term ‘Ngome’ is an actual shrine in Africa. 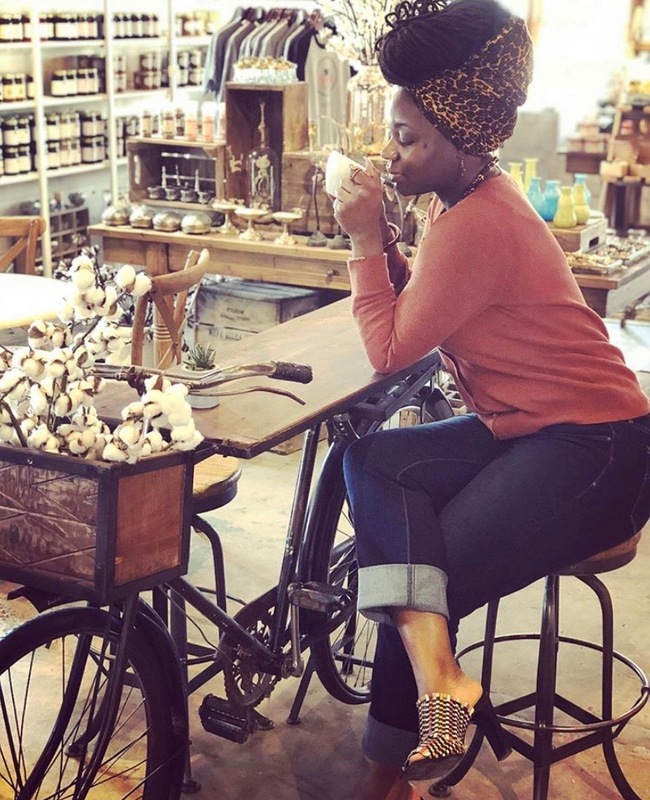 During our interview, we got a chance to dive into the exciting news of The Ngome Afropolitan Boutique, which is Donellia’s latest business venture and storefront. The boutique is a space and hub for apparel, fashion and an event space for customers and visitors to feel welcomed and experience the global Africanism we all celebrate to this day. You can expect to find accessories, adornments, wellness and skincare items, monthly WrapQueen boxes, and most importantly, fashion apparel and clothing. Adornment: It’s the highest form of expression; dress yourself around one piece that makes you sincerely happy. Hair wraps: They aren’t meant to be worn only for ‘bad hair days’ — Thy crown is thy superpower. Wear that wrap proudly. History: Tignon laws prohibited black women from wearing their hair visible. Women then wore various styles and colors of head wraps to show self expression and the legacy lives on today.